How Soon Can I File For Bankruptcy After I Fall Behind On My Bills? There really isn’t any timeframe for filing bankruptcy, although there a few particular situations that would probably require you to move more quickly towards filing a petition. But in general, there are no time limits for filing a St. Louis bankruptcy. Some individuals will begin to look at the possibility of filing a Missouri bankruptcy well before they fall behind on their unsecured debts (things like credit cards, medical bills, payday loans, etc). They can “see the writing on the wall,” and recognize where they are likely to end up in the future (assuming things continue as they are). This type of situation typically involves a job loss, cut hours at work, an increase in monthly expenses, or some combination of all three. On the other hand, there are those people who will wait a very long time before considering a St. Louis Chapter 7 bankruptcy. Not until the debts get turned over to a collection agency, and the phone calls start increasing every day, and the stress level goes through the roof. Only then will they pull the trigger, and start the process towards regaining control of their lives. Either way, it comes down to a personal decision. It is a decision that involves you weighing your options, determining whether your debt levels are manageable, and the effect that this situation is having on your career, personal life, and family. But in the end, it is probably best to get sound advice as to what the answers to those questions may be. Contacting an experienced St. Louis bankruptcy attorney is the best way to understand your options so that you can make the best decision possible for yourself (and your family). 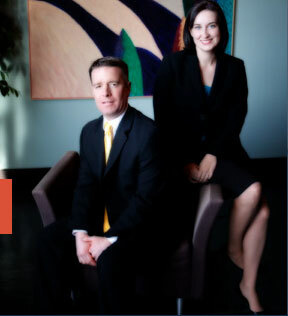 The affordable St. Louis bankruptcy lawyers at Brinkman & Alter, LLC have been assisting people with their debts for over ten (10) years. Our goal is to make sure that you understand you full range of options, that you get rid of all your debt, that you keep all the assets you wish to retain, and that we do it at an reasonable price. The fees for a standard Missouri Chapter 7 are $750; and the upfront fees for a St. Louis Chapter 13 bankruptcy are $300. We have two locations: in the Central West End, at 1 North Taylor, St. Louis 63108; and in the Twin Cities of Festus / Crystal City, at 1000 Truman Blvd (Highway 61/67), Jefferson County 63019. The initial consultation to discuss your legal matters is free of charge. So contact us today to learn more! !